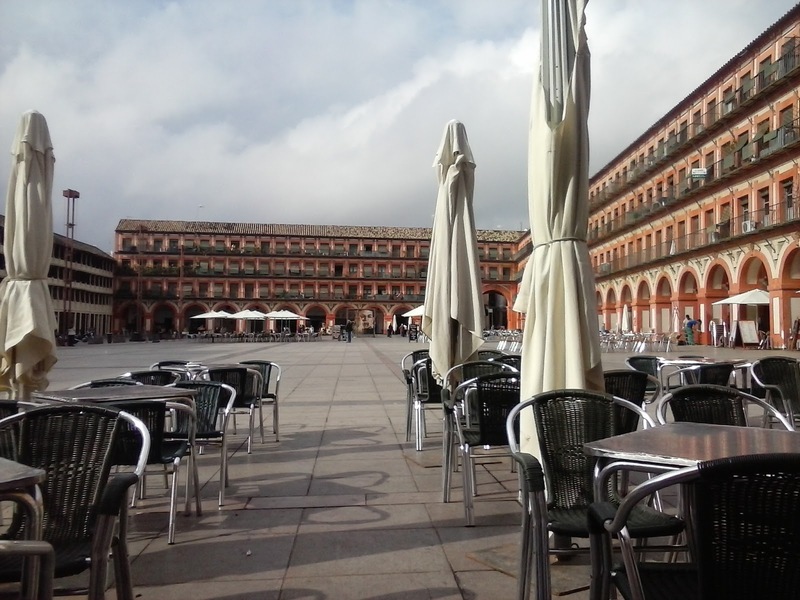 The incredibly huge, 17th-century, Baroque Plaza de la Corredera has a bloody history. 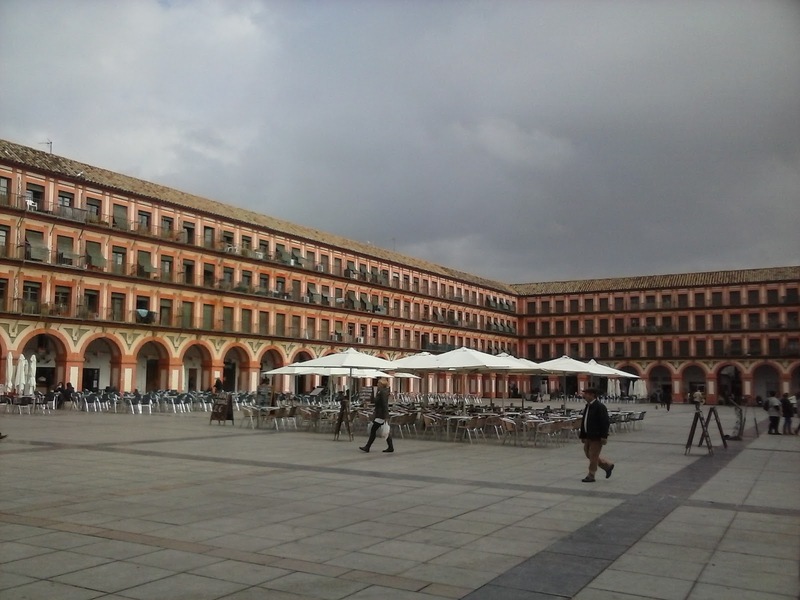 Once the site of public floggings and horse races then later public executions and bullfights. 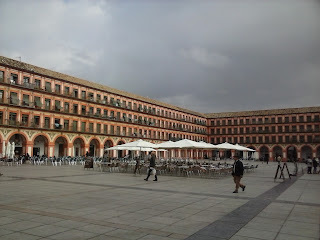 The square, which is actually a rectangle, has arched porticos on the ground floor many of which are shops, mediocre bars and junk/antique stalls. 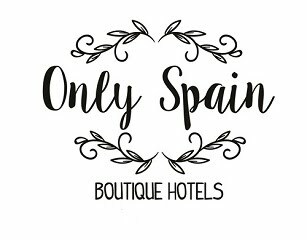 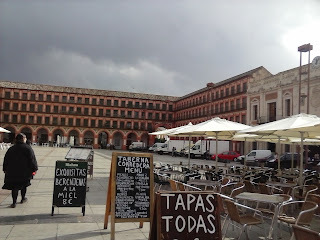 It is designed in the style of old Castille city squares, and is the only one like it in Andalucia. Archaeological excavations unearthed some amazing Roman mosaics which are in the Fortress - Alcazar de los Reyes Cristianos another must visit spot when in Cordoba. 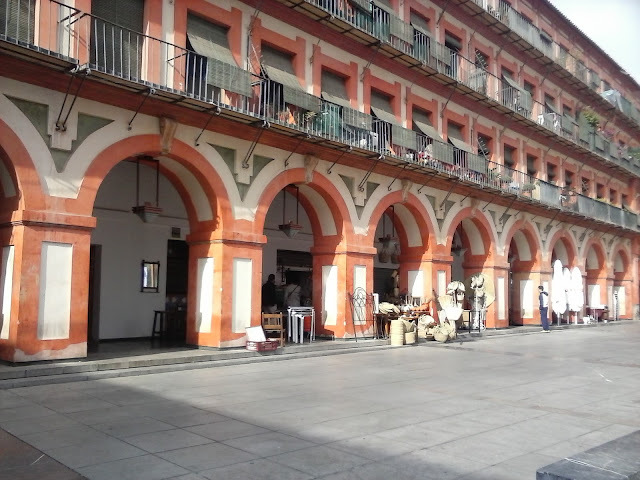 Read some related posts about Cordoba.